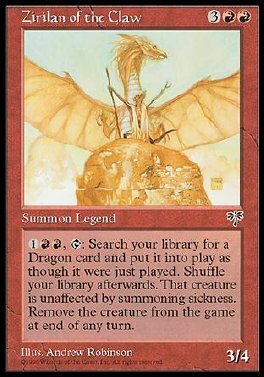 1RR, T Search your library for a Dragon card and put that card into play. Then shuffle your library. That Dragon gains haste until end of turn. At end of turn, remove it from the game.